Name just about any touchstone issue of the American West and it comes together at the Chilton Ranch in southern Arizona. 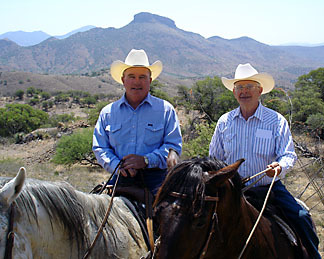 The perception of ranchers as “bad guys,” cattle grazing, private lands, public lands, illegal immigration, habitat restoration, invasive species, endangered species, federal agency consultations, water scarcity, wildlife and law suits - Jim Chilton has dealt with them all. Consequently, he has quite a few stories to share with us in the coming weeks. We’ll be sharing with you a description of his method of grazing, validated by a world expert in grassland management; his recent legal victory against an environmental group that had sued him; and why the Fish & Wildlife Service Endangered Species Office just might want to consider offering Jim a job! A fifth generation Arizona rancher, Jim talks like a cowboy but operates like an astute businessman and thinks like the master’s major in both economics and political science that he is. 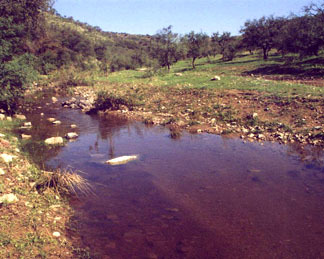 The 50,000-acre ranch that he and his wife, Susan, own south of Arivaca - a spot well-known to birders across the country - extends for 19 1/2 miles to the international border with Mexico. In fact, in April 2011 he testifed at the House Joint Subcommittee Oversight Hearing on "The Border: Are Environmental Laws and Regulation Impeding Security and Harming the Environment?" where he spoke frighteningly about illegal immigration iss ues that he has dealt with along his four miles of southern fence line. More on that later. 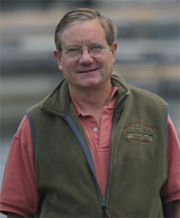 On Friday, I’ll share with you Jim Chilton’s success story in range management, though he’s too modest to call it that.